Back in December I stopped by the Nogi Jinja sale and got “accidentally” pulled in by some 19th century Japanese botanical prints. They called my name (hollered actually) even though I was not out shopping for prints or anything particular at all. 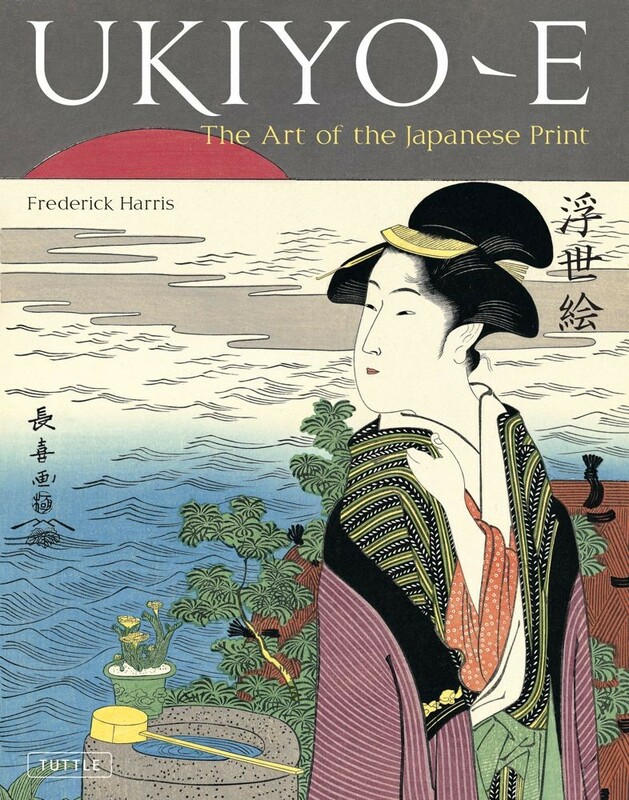 Much like ukiyo-e, they were mass printed on paper and probably bound in some sort of book or pamphlet originally. These are entitled “One Hundred Views of Flowers”, a typical naming device, and I am sure there were actually a hundred at some point. While the flowers depicted are all commonly grown in the West and easily recognizable, their presentation within the boundaries of the images is very Eastern and I loved that. Foolishly, I bought three. Foolish because I bought them? No, foolish because I only bought three. Upon further reflection at home I realized of course, I needed four, two to hang on each side of the window. The difficulty was that there would not be a January sale held at Nogi shrine and I did not know where else to look for that particular dealer. I had never seen these prints elsewhere either. …and the framed herbiers (pressed flower and plant pictures) we have been seeing a lot of in recent years, such as in this Ginger Barber designed Texas guesthouse. Or these, in Jeffrey Bilhuber’s Nantucket Cottage. Wait (even the most inexperienced among my readers) you cry out! Could I possibly be breaking the golden rule of antiquing, NEVER WAIT? As all antiques are unique you roll the dice walking away from anything you might want, even for a short time. And this is Japan, which while officially in recession for the last 20 years or so, is the land of “sold out”. There is no inventory or stock of anything and hesitating before purchasing is sure to bring disappointment. Nonetheless, I was cocky and confident and walked on. Two hours later, after a long a fruitless afternoon of over-priced and relatively uninteresting items, I was walking out to leave when I spied a Japanese couple looking at MY prints (note the capitals). I sauntered over, sure they would not be buying. Not wanting to be rude, I held back and waited, only to slowly come to the realization that they were buying and perhaps buying deeply! I knew I would never find this set of prints again. All of a sudden the New Yorker in me stepped up to the plate – I was going to get my print no matter what. We began a dance as they realized I was interested – they were not giving an inch – no gaijin (foreigner) free pass. When they put one down, I picked it up. We both started scrambling. I could see they had the one I wanted in their hands as I realized I held one they desired. I tried to get the dealer to intervene, after all, she knew I had others and needed one more, but she was not going to help as they were buying many. I took a chance and set one down, the husband followed suit. Quickly I picked that one up as the wife seemed annoyed that he had relinquished it. He said something to her that calmed her and they settled and paid up, the dealer giving them a discount for a bulk purchase. As I went to pay, I realized I had been trumped. My print was torn and that was why they left it. Frustratingly, the dealer did not want to give me any discount, neither on the strength of my prior purchase nor the damage of the current one. Shoganai (nothing can be done), is never my favorite term, but in this case, it was true. The matting would just have to cover the tear. Luckily, the print I had managed to purchase worked perfectly with the others I had already bought. I called the framer, as key to bringing out the beauty in these would rest on their presentation. Normally, I am not a colored mat kind of girl, but between everyone else’s obsession with colored mats these days and the fact that they looked blah with just a beigy tea-stained one, I decided to give color a try. And what a color it is! Inky dark blue-green, with a very thin aged gilded frame. The key to the whole thing was having the inside edge of the mat darkened. I really love how these came out! While this story has a happy ending, it might not have. Take it from me and remember, if you love something antique or vintage and the price is right, don’t wait, just BUY IT! Last week, The New York Times ran an article on the first visit by Japanese envoys to America in 1860. 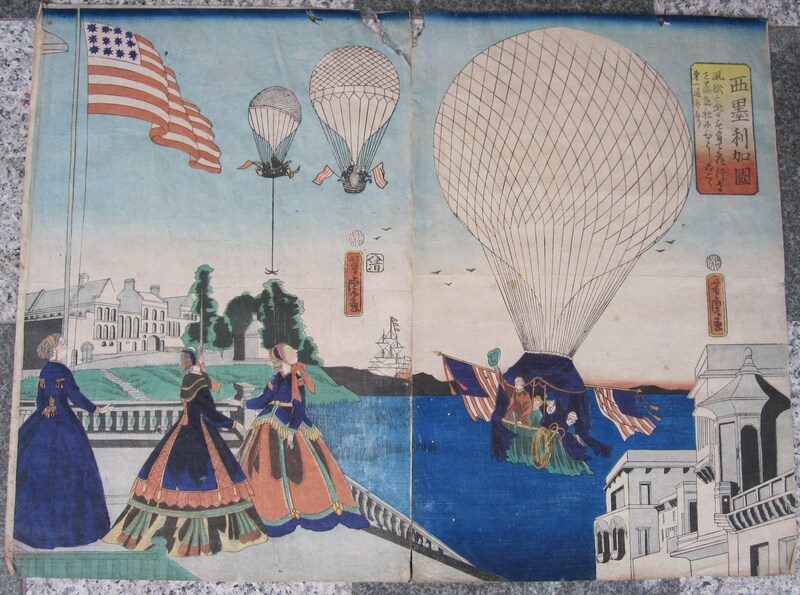 The article is part of a larger historical series on the Civil War, but what I found so interesting were the artistic renderings of their trip by the visitors and the gifts they brought with them to present to the President. This first diplomatic mission was led by three Japanese officials and completed by a retinue of 77 others (including 6 cooks). For President Buchanan, on the cusp of political crisis, the visit was a popular and welcome diversion and the visitors took the country by storm. Newspapers and the paparazzi of the day recorded every move, while the Japanese themselves also recorded their impressions and images of America. The impressions of the Japanese were filtered through the lens of their experience. Drawn by a member of the Japanese delegation, one would think that this sketch of Washington D.C. was some pleasure garden or village back in Japan. Closer viewing reveals the Capitol, the base of the Washington Monument and the bridge across the Potomac to Virginia. Repairs to the ship meant to carry them back to Japan were delayed and as a result, the delegation was treated to quite a tour, including a balloon ascension in Philadelphia. Clearly, it impressed them and they recorded it in great detail as shown in this woodblock print circa 1865. The envoys brought many gifts from the Emperor of Japan as well. Most interesting to me is the lacquer chigai-dana (staggered shelf cabinet) that can be seen in the far right corner of the etching below (from an 1860 newspaper). It shows President Buchanan and his niece unwrapping all the gifts they received from the delegates. The white house inventory shows this chigai-dana, which actually turns out to be a different one, gifted earlier to President Franklin Pierce by Commodore Perry when he returned from his fateful voyage in 1855. This small early 19th century lacquered and gilded shelf cabinet is currently for sale at Naga Antiques in New York. And I recently saw a simple two shelf version heavily decorated with maki-e (sprinkled gilding) and fans at the Oedo Market at Tokyo International Forum. Back in Japan, foreign traders were now allowed under the “Treaty of Friendship and Commerce”. They set up in the port city of Yokohama and were limited to a 25 mile radius. The foreigners were fascinating to the local population and a new form of ukiyo-e, called Yokohama-e, emerged. It depicted these strange new people and their dress, their weapons, their customs and so on. Earlier works, such as this 1855 print, were based on much speculation and little real information, and as such, the rendering of the faces and dress is clearly not that accurate. Tagawa Hiromichi, Appearance of Foreign Barbarians "England"
This print, from “A Series of the European Countries,” was made only 6 years later and also depicts an Englishman, but in this case both faces and dress reflect a fairly accurate view. While rarer and more expensive than ordinary ukiyo-e, these Yokohama prints can still be found in markets, antique stores and on-line. I saw this print on Sunday at the Tomioka Hachiman shrine sale. If you click to enlarge it you can see more easily the mixture of people and activities, including the American/European couple in red at the bottom towards the right. The combination of Western and Japanese style buildings next to each other is great too. Unfortunately I do not know the name of the print or the artist. Back in my hometown of New York, the exhibition “Samurai in New York: The First Japanese Delegation 1860” has just closed at the Museum of the City of New York. It was one of a number of “Heritage of Friendship” events planned this year to commemorate the 150th anniversary of the 1860 visit. 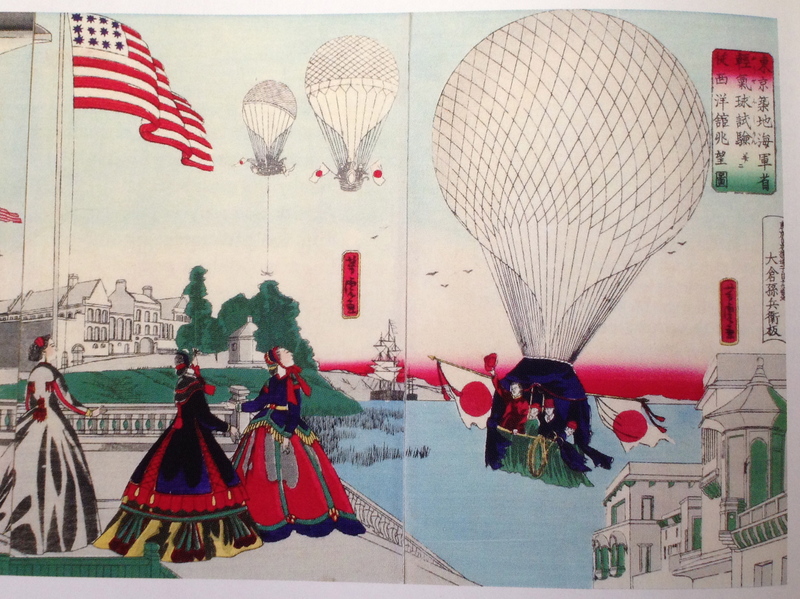 Currently running at the Yokosuka City Museum (in Japanese) is the sister exhibit “Japan and America in 19th Century-Technical Revolution and Diplomacy” . If you would like to read more in-depth information I recommend reading Guests of the Nation:The Japanese Delegation to the Buchanan White House by Dallas Finn on the White House Historical Association website. The Library of Congress also has an amazing collection on this topic. 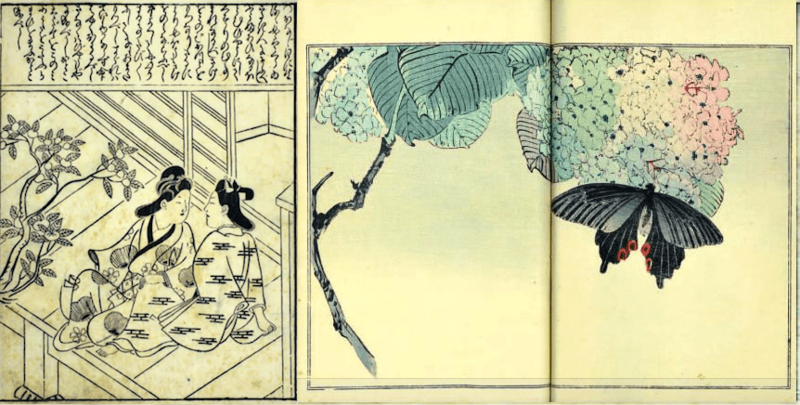 Other resources inlcude Ann Yonemura’s book Yokohama:Japanese Woodblock Prints from the 19th Century. A few days after this post I stumbled across this ballon ascension print from the same series as the one shown above. It is missing its third panel, but is clearly by the same artist, Yoshitora Utagawa. Such a rare image in ukiyo-e! And you gotta love the inaccurate rendering of the U.S. Flag! This one is currently for sale at Okura Antiques. Image credits: 1, 3 & 4. Library of Congress collection via The New York Times, 3. via The Museum of the City of New York , 5-7. 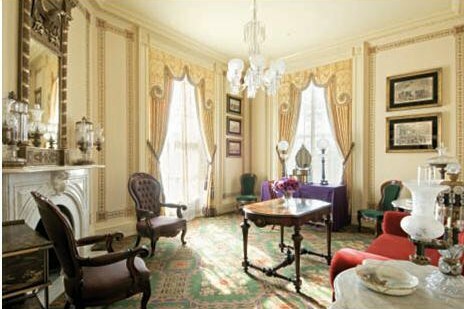 The White House Historical Association, 8. Naga Antiques, 9. me, 10. Library of Congress Exhibits. 11. Hotei Japanese Prints, 12. me. 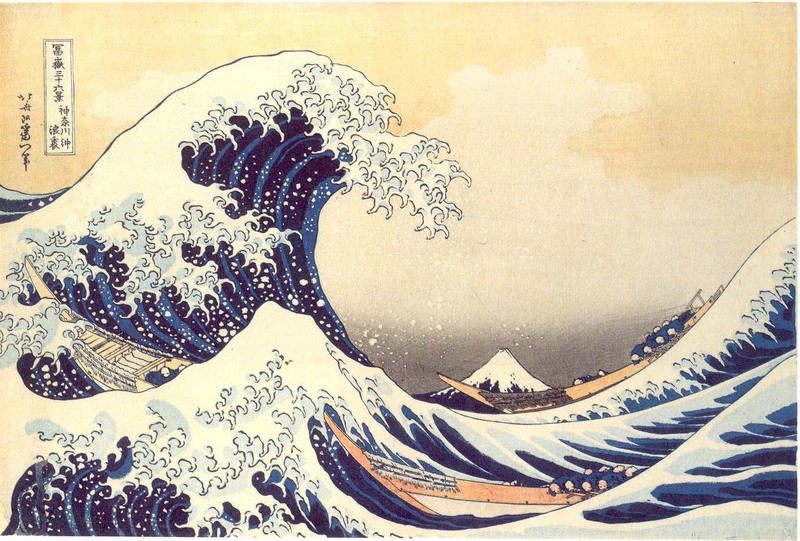 As a quick follow-up to my Hanga 101 post, the Legion of Honor Museum in San Francisco is holding an exhibition of Japanese prints from 1700-1900 and their influence on the Impressionists. The exhibition runs from October 16, 2010 – January 9, 2011 and looks to be extraordinary, with over 250 prints. Examples include Hiroshige’s Gion Shrine in the Snow from the series Famous Places in Kyoto ca. 1833–1834 compared to Henri Riviere’s La Tour en construction, vue de Trocadero, from the book Les Trente-Six Vues de la Tour Eiffel, 1902. Riviere’s calling the book “Thirty Six Views of the Eiffel Tower” is a direct nod to Hokusai’s classic ukiyo-e series, Thirty Six Views of Mt. Fuji. Running concurrently is another exhibition entitled “Aspects of Mount Fuji in Japanese Illustrated Books” which includes illustrations from Hokusai’s series One Hundred Views of Mount Fuji. Oh, how I wish I could go! (Robin, George and Betty, I expect a full report! ) 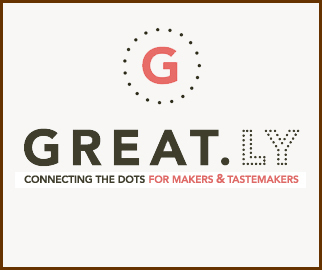 And Lonny readers get 20% off if they use coupon code JLONNY.